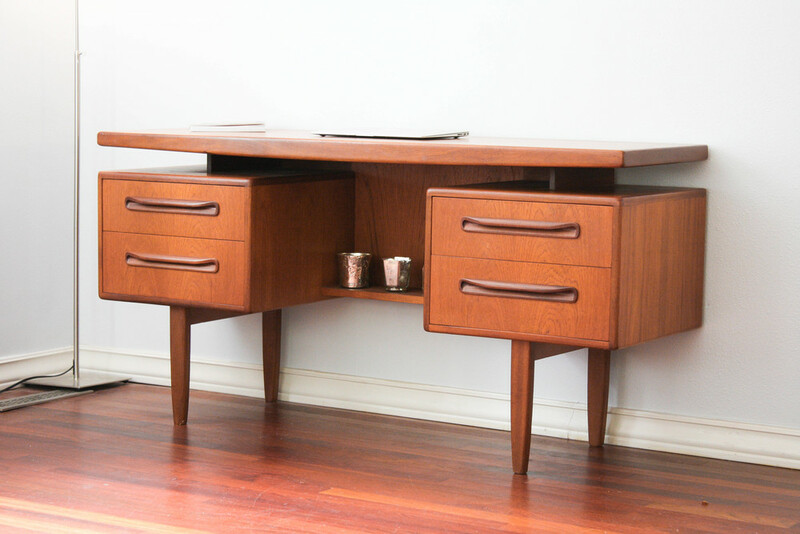 A beautifully designed & crafted 1960s teak desk, or use it as a vanity, manufactured by G-Plan and designed as part of the popular 'Fresco' furinture series attributed to IB Kofod Larsen. 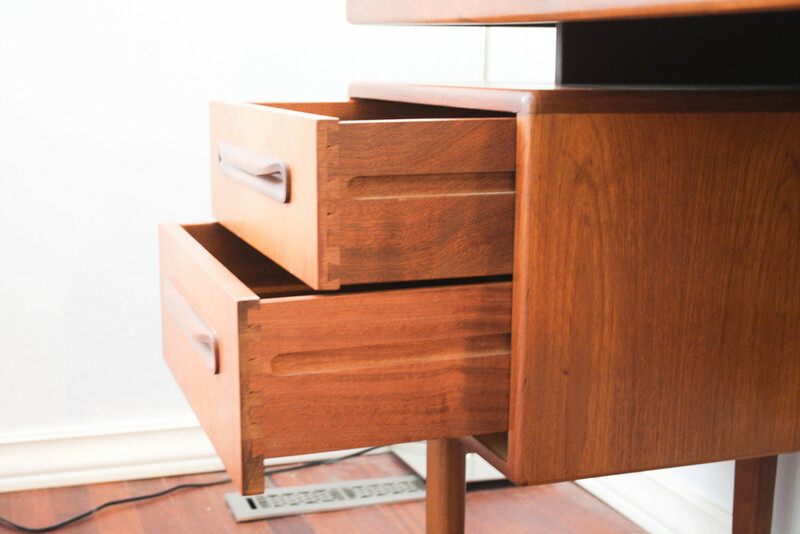 Featuring floating top, solid teak edging and drawer handles and two generous sized drawers to each side. The drawers slide perfectly with no sticking. 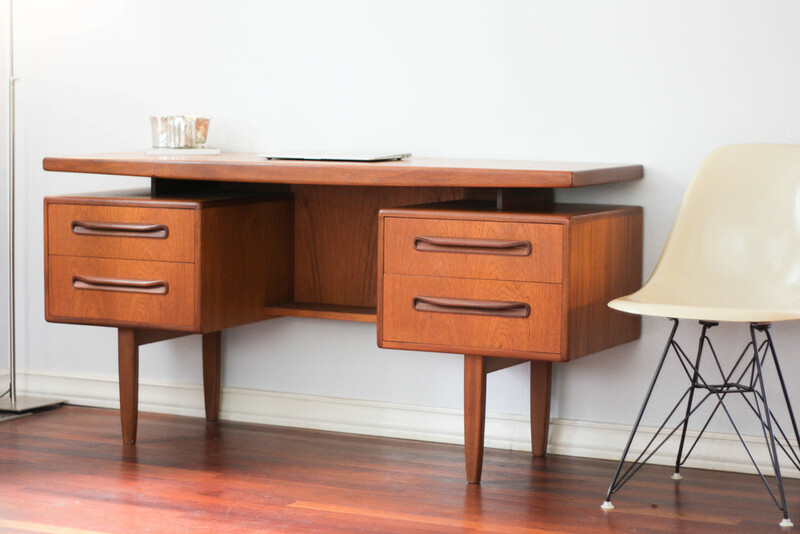 The desk is in phenomenal shape with very few markings. No significant chips, scratches, or dings. 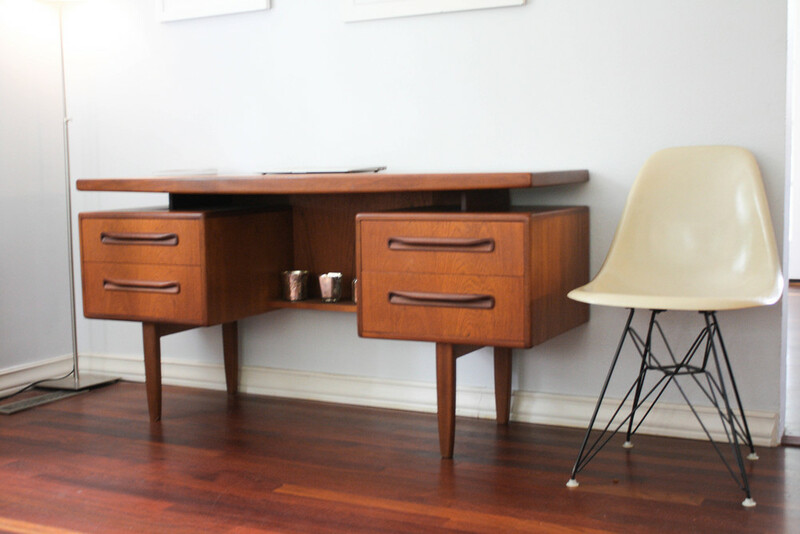 The desk does not need to be refinished.